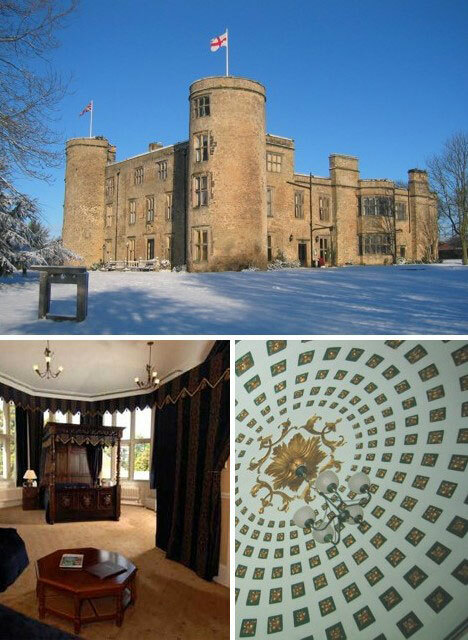 Dating from the 12th century, Walworth Castle has witnessed the Black Death, the Wars of the Roses, the Elizabethan Era & William Shakespeare, and much, much more on down to the modern age. With all that history under its belt, the “Best Western” seems a bit incongruous. No matter though, Walworth is open for guests and offers 4-poster tower suites with double Jacuzzi baths. A “knight” to remember, indeed, but bear in mind: the Best Western Walworth Castle Hotel is a non-smoking property so please check your witches and heretics at the door. If you think a castle is a cold, drafty, pile of stone more suited to vermin than humans, think again and remember, the Middle Ages are history. Fitzpatricks Castle Hotel Dublin was built in 1741 but updates have come fast & furious since it ceased fighting off conquerors and started accepting paying guests. 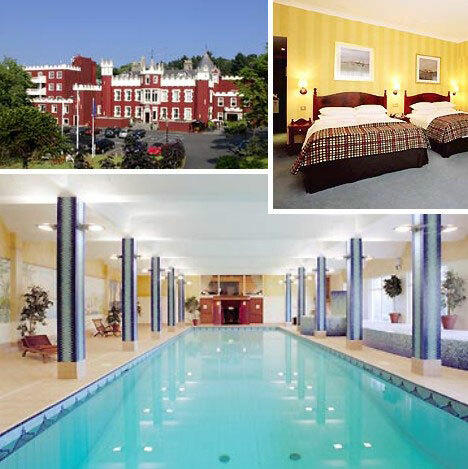 Fitzpatricks offers a clean & cozy swimming pool, for example… what, you thought you’d be taking a dip in the moat? 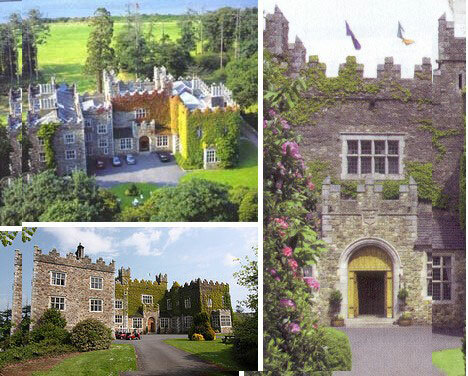 Ireland is a land of castles and one of the finest offering lodging is the 16th century Waterford Castle Hotel. The huge, partly moss-covered stone edifice is situated on a 310-acre private island. It’s located near Waterford City in County Waterford and – you guessed it – close to the Waterford Crystal factory. 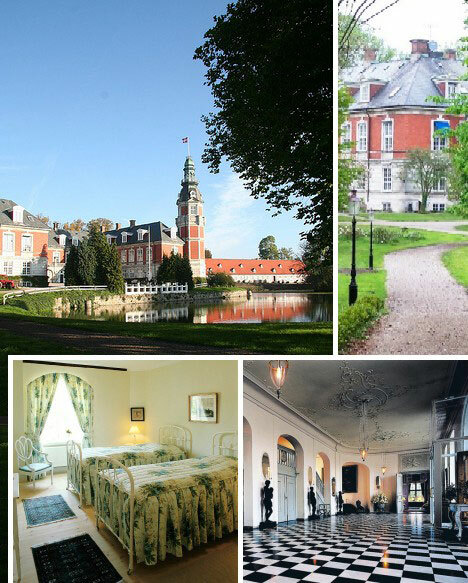 Denmark boasts a wide variety of beautiful castles, some of which have been turned into luxurious 5-star hotels. Hvedholm Slot, located in the southern Danish province of Funen, was originally built in 1570 and was extensively renovated and upgraded in the 19th century. The spectacular Castle Alarcon dates back 1200 years to the time of the Visigoths, a tribe lost to history but who have left their mark in the form of castles, forts and early planned cities. 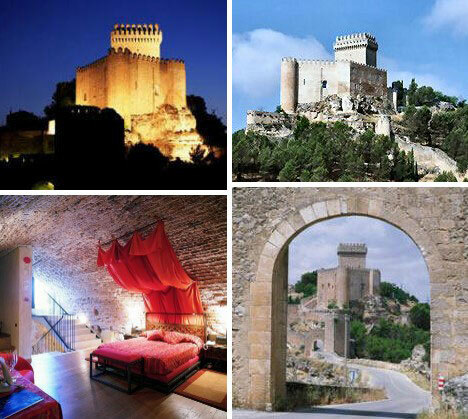 Castle Alarcon has been refurbished and fitted out to meet the demands of tourists seeking an authentic castle experience without sacrificing any modern conveniences. Only 15 rooms are available but each one is expansive without being overly expensive. There’s nothing gritty about the Gritti Palace Hotel in Venice, Italy. 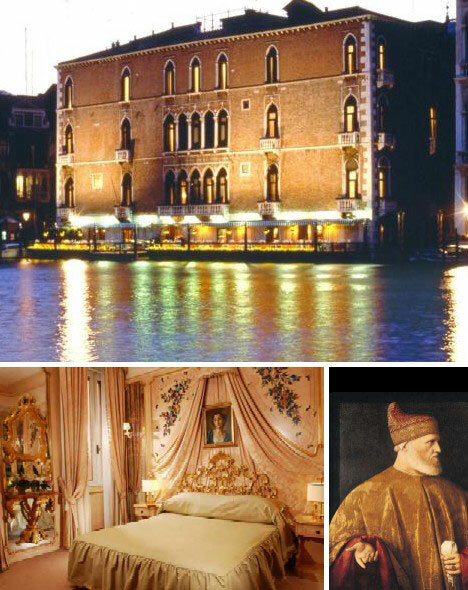 This outstanding hotel was built in the year 1525 for Andrea Gritti, Doge of Venice. The Doge was the top dog in those days and the Gritti Palace shows off his wealth, status and preference for a view of the Grand Canal. Patronized by the world’s rich & famous for decades, the Gritti Palace Hotel swathes its guests in ornate furnishings old Andrea himself would find most comfortable. 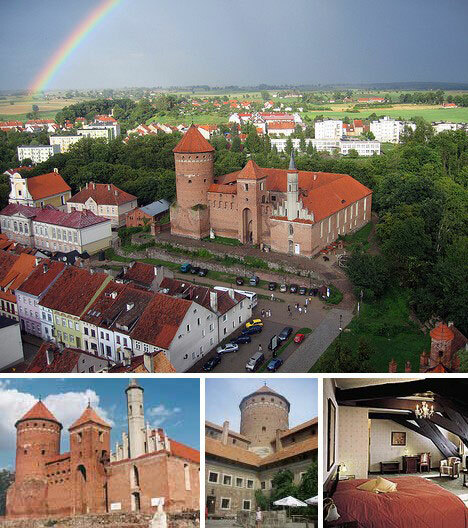 Reszel Castle in northern Poland was built in the 14th century by the Teutonic Knights, an ultra-religious warrior organization charged by the Pope with conducting the Northern Crusade. The castle changed hands many times over the centuries, and for a time was used by Prussia as a prison. These days, Reszel Castle is hoping – like the rest of eastern Europe – to reap the rewards of capitalism. Only 12 rooms are available which ensures plenty of peace & quiet for guests seeking a teu-tonic from the rat race. 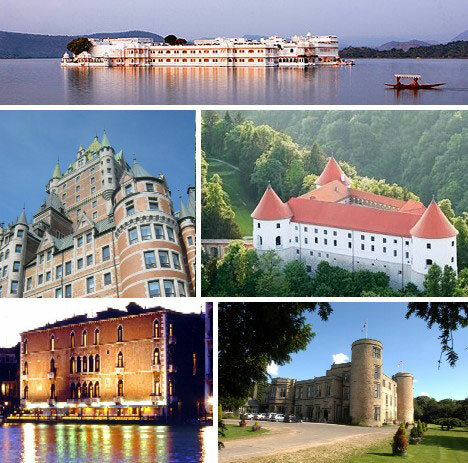 The age of aristocracy was a golden one in Hungary, where the luxurious Castle Hotel Almásy is located. The Dukes of Almásy were well-off even by the standards of the Dual Monarchy and this particular castle was a gift from one of the Dukes to his daughter. Nice guy! Wars, revolutions and the heavy tread of the Iron Curtain have relegated Hungary’s feudal era to the back pages of history books but “here, in this environment, the world of the Aristocrats remained the same. Here they experienced that they were different and better from the outside world.” And, for a limited time, so can paying guests. Farther south lies the Mokrice Castle Hotel, set jewel-like in a century-old forest in eastern Slovenia. 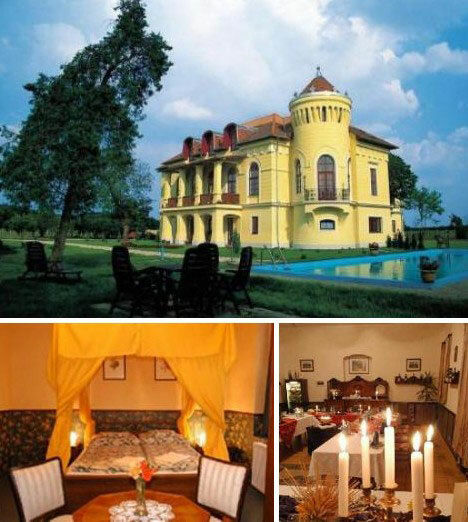 Mokrice Castle Hotel offers 29 guest rooms, thermal baths and even Internet access. It’s prime attraction, however, is an 18-hole golf course specially designed to incorporate the area’s natural beauty. 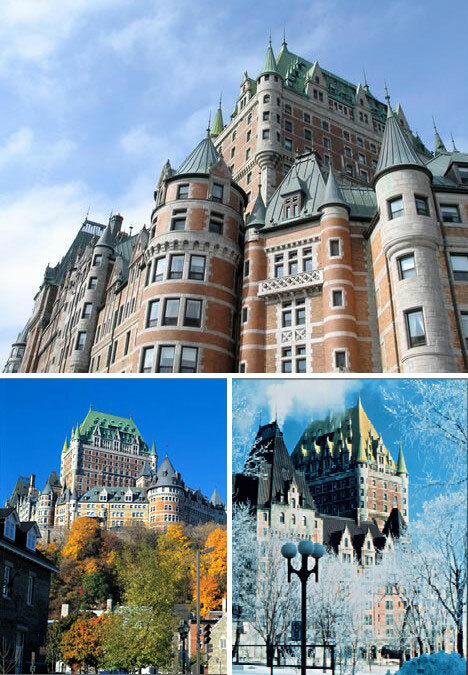 The Chateau Frontenac towers over Québec City, the only city in North America with old-style city walls. It overlooks The Citadelle, a 17th century star-shaped fort built to protect the capital of New France from foreign and native invaders. Built in 1893, the Chateau Frontenac is a five-star hotel that offers old world luxury in one of North America’s oldest and loveliest cities. The Hotel Hershey in Hershey, PA is a monumental achievement that can be credited to one man: Milton Hershey. The chocolate magnate had set out, in the depths of the Great Depression, to create a monument to extravagance, excellence and the pursuit of luxurious relaxation. Some have compared the hotel, which opened in 1933, to French King Louis XIV’s palace of Versailles. There’s one thing The Hotel Hershey can offer that Versailles cannot, however, and that is its famed Chocolate Spa. China isn’t known for its castles and few outside of Beijing have stood the test of time, war and revolution. Modern China is looking to recapture both its ancient glory and along with it, some tourist dollars by going beyond steel and concrete to its imperial roots. 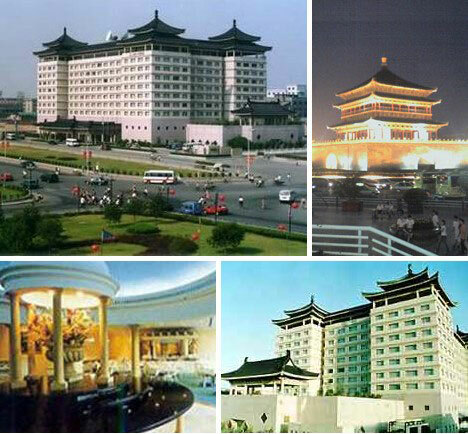 The Grand Castle Hotel Xian is such an effort, designed to reflect the glory of the Ming Dynasty by styling itself after the city of Xian’s ancient Big Goose Pagoda. Inside, all mod cons are on tap for visitors who come for the history but stay for the luxury. 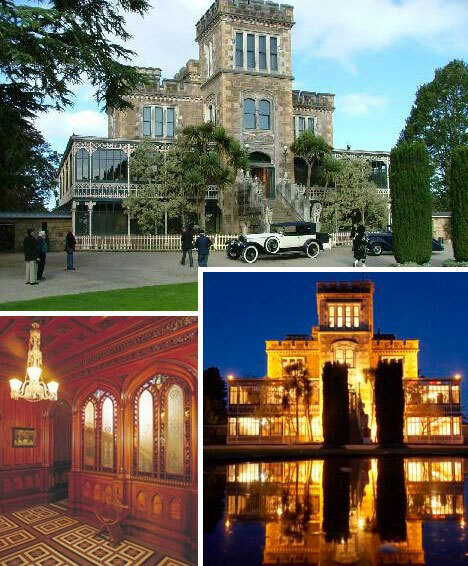 Larnach Castle was built by a wealthy rancher near Dunedin, New Zealand. While guests cannot stay in the restored castle itself, a separate outbuilding offers a dozen plus two themed rooms along with some unique views of the Southern Ocean. A castle in Australia? Though not settled by Europeans until after 1788, the Land Down Under boasts its fair share of historic buildings. 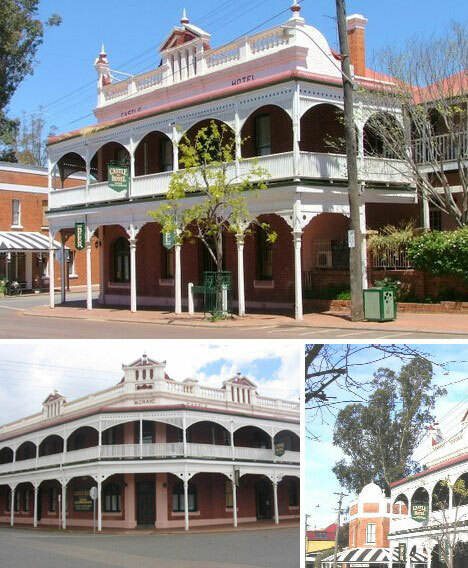 One of the most famous is the Castle Hotel York, perched just east of Perth on the edge of the Outback. Built in 1853 using convict labor, the hotel was owned by the original Craig family into the 1980s before being refurbished and upgraded with period furniture and fittings. The Lake Palace in Udaipur, India, rises out of beautiful blue Lake Pichola like something out of a romantic dream. 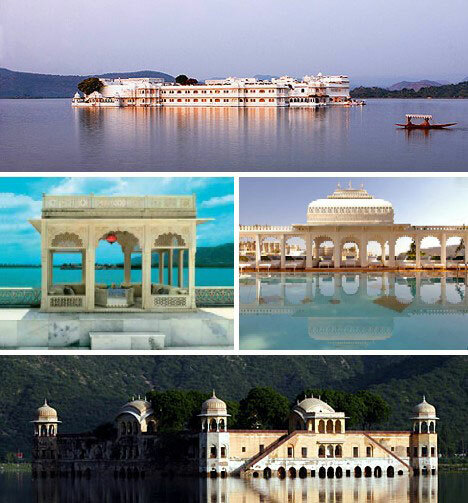 One can’t imagine how a structure so large – the modern hotel has 84 rooms – was constructed in the middle of a lake 250 years ago but we may assume that whatever Maharajah Jagat Singh II asked for, he got. Today the ultra-luxurious Lake Palace Hotel asks that guests pay upwards of $540 per night for a deluxe room and the princely sum of $1,520 for the Grand Royal Suite.